Its not easy being Prithvi Shaw. Not particularly easy for someone who’s had comparisons with the likes of Sachin Tendulkar and Sunil Gavaskar. 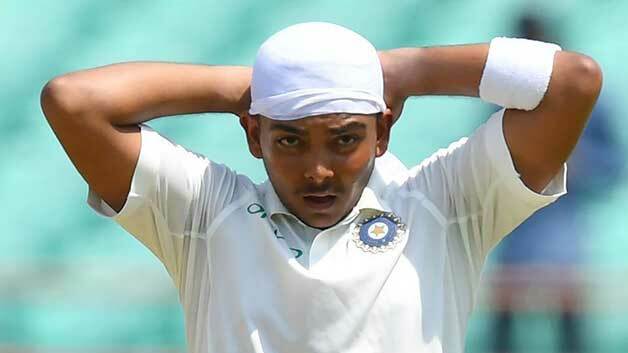 Prithvi Shaw attained fame from a very tender age, he was seen as the next big thing in Indian cricket. Shaw was just 14 when he scored 546 in school cricket. Shaw’s innings was the highest in school cricket back then. The name Prithvi Shaw came soaring up as years went by. At 17 years, he became the youngest batsman since Sachin Tendulkar to score a hundred in the Duleep Trophy for Mumbai. He was taking domestic cricket too by a storm. Mumbai is considered as the most powerful domestic team in India, and to make into the team at the age of 17 was in itself a big achievement. Shaw was roped in by Delhi Daredevils for the 2018 IPL. Cricket aficionados and experts were in awe of his talent. On the back of that, he was picked to the Indian test team as well. But he had the glory cut short when an injury rule him out of the series down under. At the moment, the Mumbai lad is on a comeback trail. He will hope to get back his lost fortunes with the IPL and make a comeback to the Indian team.